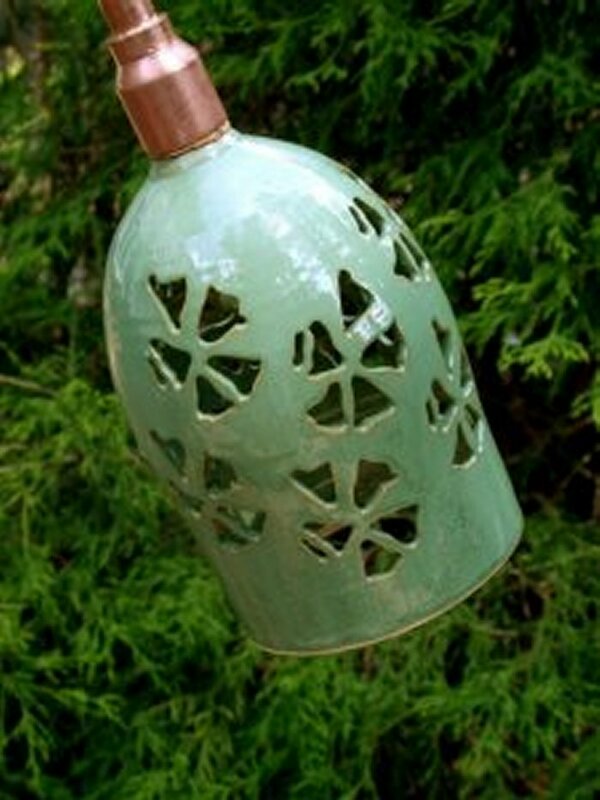 This is a perfect lamp to light your pathway or special garden display. This one has daffodils growing around the globe. It is 6" in ht and 4-5" in diameter, mounted on a copper pipe that has curved area at the top to gently point the lamp to the pathway or special garden spot to highlight. The pipe reaches about 4 feet tall from the ground and has a spiked attachment to ensure the garden lamp does not swivel or lean forward. It is wired with low voltage wire which needs a transformer using only 12 volts, with a timer, keeping your power bill low, with easy connectors to a ground wire. Sea green as shown is available. Other colors need to be ordered. It takes me about 8 weeks to complete an order.